Better Than Taco Tuesday..Tapas Tuesday! What is better than taco tuesday in walnut creek? Tapas Tuesday at Vanessa’s Bistro 2 in Downtown Walnut Creek. 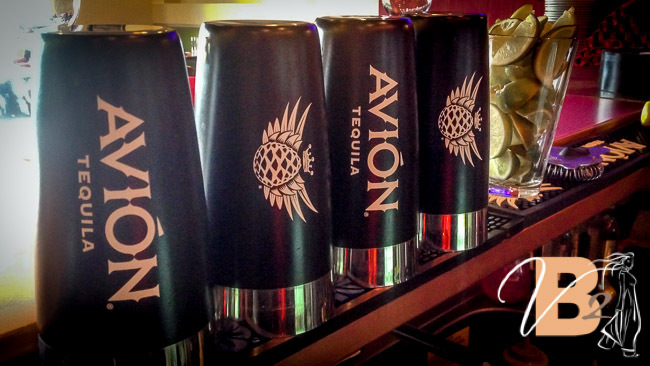 It is a great way to spend your Tuesday night because we offer $6 Avion Tequila margaritas and all the Vietnamese Tapas we have are all $4.50. 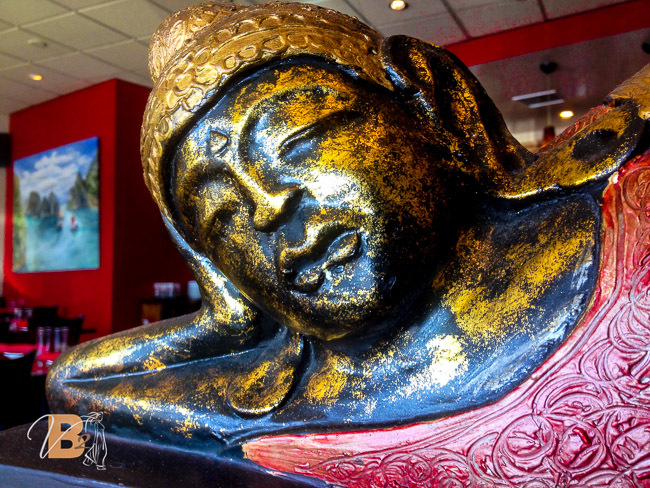 Not only are the FOOD and drinks fantastic, we have one of the best atmospheres in Walnut Creek. Join us for a great night in the Creek! At Vanessa’s Bistro 2 in Downtown Walnut Creek we have happy hour all day on Sundays. That means our specialty cocktails are only $5! And our Vietnamese tapas, only $6. This is a great way to end your weekend and enjoy some amazing small plates with your friends. Now you can have happy hour all day on Sunday or you can have the Pan Seared Filet Mignon with Jumbo Prawns and a Buerre Rouge (red wine reduction). This is a true meat lovers paradise! 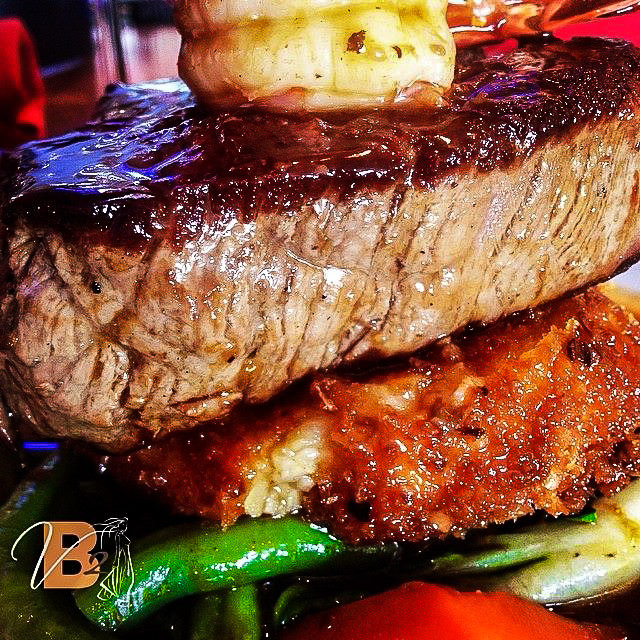 The tender filet mignon is perfected when it is topped with a reduction sauce that Chef Vanessas takes approximately 10 days to prepare. View the rest of the MENU at our website today! On the last Thursday of every month, Vanessa’s Bistro 2 holds a private dinner in which Chef Van Dang creates a menu for one night along with paired wines. It is a great night because our guests get to experience a completely different menu and wines each month. 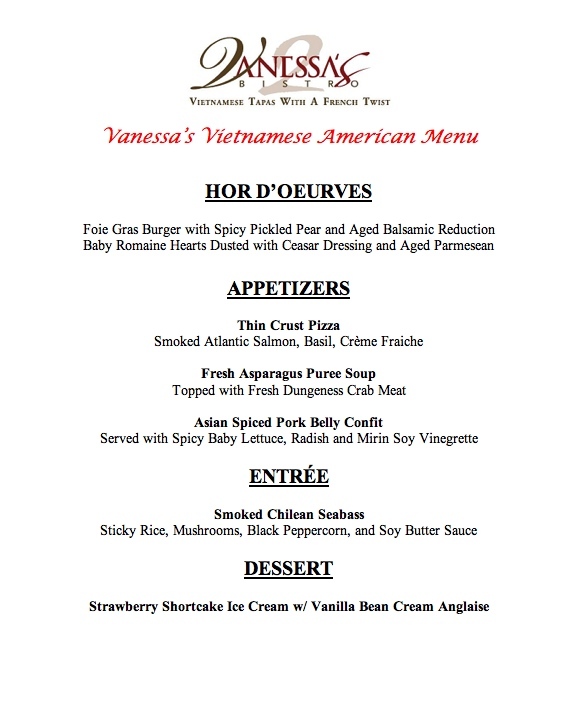 On May 29th, the dinner will be a five-course Vietnamese American inspired menu. The wines to be paired with this dinner will be Stag’s Leap Winery. Contact Anthony at anthony@vanessasbistro2.com with any questions and reservations. Here is a tentative menu for May 29th. Vanessa’s Bistro 2 in Downtown Walnut Creek has the best Happy Hour in all of Downtown Walnut Creek. It is a great opportunity to beat the hot weather and enjoy many of our specialty cocktails on Happy Hour. Check out the MENU to see our great selection. On Friday and Saturday, Vanessa’s Bistro 2 starts Happy Hour again at 9 PM and stays open until 11:30. See you this weekend!